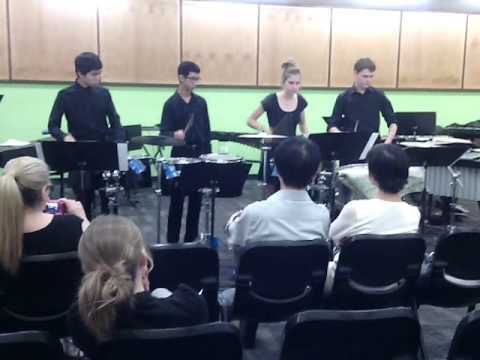 SoundStruck Percussion and New Composition: Junglemania! After a few months of careful planning, some rehearsals and a few performances, I am proud to present ... (drum roll) ... SoundStruck Percussion. Earlier this year, a few of my percussionist friends from the Queensland Conservatorium of Music and I had an idea to form a percussion ensemble. Thanks to our university, our families and some friendly contacts, we got a few of our first gigs, from which we got some great recordings and some great videos.